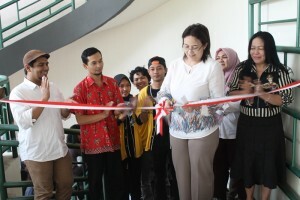 The Visual Communication Design (DKV) Study Program of the Indonesian Informatics and Computer College ( STIKI ) Malang held a DKVolution 2.0 event for 2 days on 23-24 January 2019. 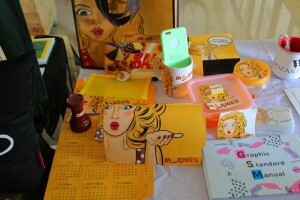 In previous years, STIKI always held exhibitions, but only used the DKVolution theme or brand since last year. This year is the second year of the DKVolution event by STIKI Malang. 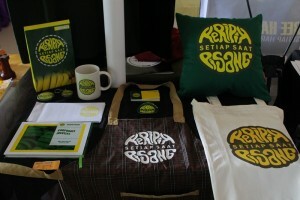 DKVolution is an exhibition as a final assignment by DKV lecturers STIKI Malang. The works exhibited in DKVolution 2.0 cover many subjects, including sketch drawings, word writing, typography, computer graphics, design management, and so on. According to this 3rd semester student, by exhibiting the works of students at this large exhibition, he felt more challenged. Because this exhibition is a place of proof, “How do people need to know our designs are worth not sold out there, or deserve not to be seen or displayed at this exhibition.” Kalvin Andika Pratama as the Public Relations Division of the DKVolution 2.0 committee revealed that this exhibition is the final semester assignment for semester 1 students (batch 2018) up to semester 5 (class of 2016). In this exhibition, all works of DKV students are mixed into one, there are groups, there are also individuals. Calvin who had participated in DKVolution last year admitted that there was a significant difference this year compared to the previous year. If in the previous year he was still a freshman who only focused on his own work, this year he also served as the executive committee. Besides that, DKVolution 2.0 is far better than the exhibitions in previous years which are still empty of visitors and the concept of the show is still too monotonous. “At that time, we still hadn’t found DKVolution. This year is indeed the most different, so let’s try to get out of the comfort zone of the STIKI exhibition, “he said. branding a village. Meanwhile, new students can get assignments to draw realists. 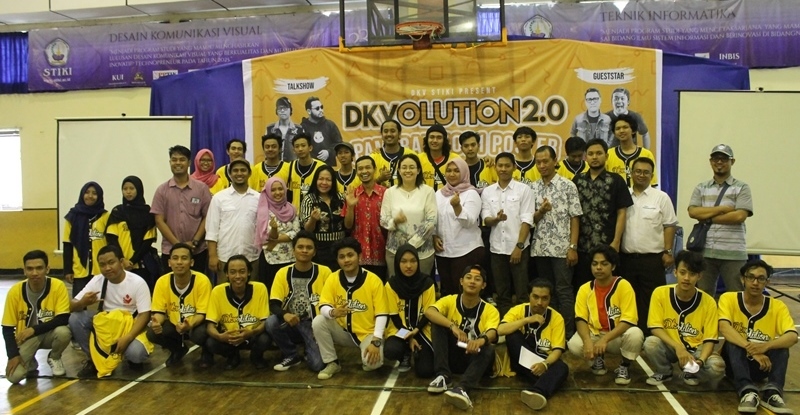 The total number of participants in DKVolution 2.0 is 274 students, divided into 15 student groups in 2016, 80 students in 2017, and some students in 2018. Although this exhibition is a final assignment for students with mandatory status, not all works are immediately exhibited. Previously, there was a prior selection of lecturers in related subjects. Zaki, a DKV lecturer, explained that in each practice course students are required to hold exhibitions. There are 5 phases of DKV lectures, namely DKV 1 to DKV 5. Coincidentally, DKV 2 and 4 are found in the even semester, so the third semester students are assigned to display DKV 2 and 5th semester students get DKV 4 assignments. The collected work will be assessed first on the basis of various factors before being exhibited. “To be sure, the work has been assessed before this event began. First, the process before this exhibition. From consultations, etc. Not test is like this. The second is the appearance of the booth . What are the works like, what is the execution like? Perfect or not, it is not neat or how, it also becomes a judgment, “said Zaki.